Commissioner Jourouvá: Dieaselgate scandal a “cold shower” for EU consumers. 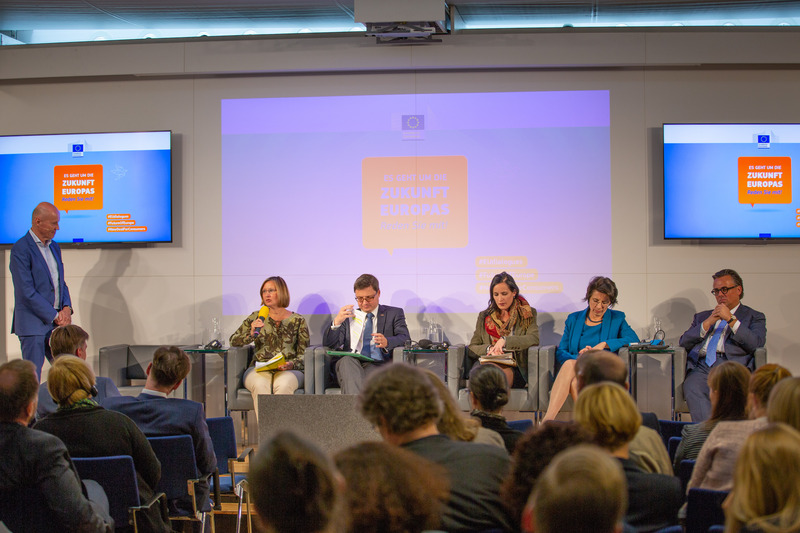 Věra Jourová, the European Commissioner for Justice, Consumers and Gender Equality, has described the lack of compensation to European consumers in the “dieselgate” scandal as a “cold shower” for people in Europe. 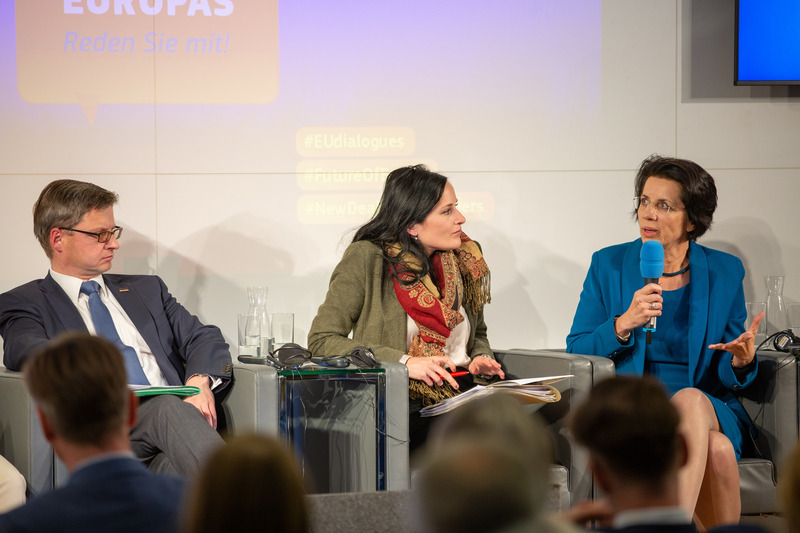 Speaking to an audience of 125 people at the Citizens’ Dialogue for the New Deal For Consumers in Vienna, Ms Jourová said she was prompted to act when the Commission realised that people in the US had been compensated in the same case. The Volkswagen emissions scandal began in September 2015, when the United States Environmental Protection Agency (EPA) issued a notice of violation of the Clean Air Act to German automaker Volkswagen Group. The agency had found that Volkswagen had intentionally programmed turbocharged direct injection (TDI) diesel engines to activate their emissions controls only during laboratory emissions testing which caused the vehicles' NOx output to meet US standards during regulatory testing, but emit up to 40 times more NOx in real-world driving. As expressed in previous dialogues, the EU has some of the strongest consumer protection laws in the world. However, Ms Jourová said that in some Member States it is “cheap to cheat” and that one third of the countries in the EU still lack a collective redress mechanism. Austria, which currently holds the EU Presidency, is a highly industrialised country with an important service sector. The most important industries are food and luxury commodities, mechanical engineering and steel construction, chemicals, and vehicle manufacturing. In the field of agriculture, Austria is witnessing a strong trend towards organic farming. With an overall share of 22%, organic farms in Austria occupy a leading position among the EU Member States. The New Deal for Consumers, aims to empower qualified entities to launch representative actions on behalf of consumers and introduce stronger sanctioning powers for Member States' consumer authorities. It will also extend consumers' protection when they shop online. Among those present at the dialogue in the Austrian capital, were the representatives from the three political parties in charge of consumer policy (ÖVP, FPÖ, Liste Pilz). They were unanimous in their support for the New Deal proposals, emphasising the need for effective consumer law enforcement mechanisms. Alma Zadic, from Liste PILZ, was in favour of a broader scope for legal standing and welcomed the proposals on remedies, praising the Commission for learning from its lesson from the VW case. During her keynote speech, Beate Hartinger-Klein, Federal Minister for Labour, Social Affairs, Health and Consumer Protection, said the fact that consumers do not get redress in cases of widespread infringements risks undermining consumer trust. But she also reminded business representatives in the audience that companies that play by the rules have nothing to fear. One of the aims of the Commission is for the The New Deal to remove unnecessary burden for businesses. This will be achieved by lifting obligations on companies regarding consumers' right of withdrawal. For instance, consumers will no longer be allowed to return products that they have already used, and traders will no longer have to reimburse consumers before actually receiving the returned goods. Petra Leupold, from Austria’s Consumer Information Association, agreed that abuse exists on both sides but overall the consumer is more vulnerable and should be better protected. However, Georg Kathrein, from the Ministry of Constitutional Affairs, Reforms, Deregulation and Justice, stressed that considerable negotiations are still needed to bring divergent positions closer to each other. Mr Katherein confirmed the Austrian government was doing its utmost to move the process forward, but did not consider it probable to have a compromise text ready by the end of the year. “Quality is more important than speed and pushing too much might have an adverse effect on Member States,” Mr Kathrein said. As the Consumer Dialogues travel outside of the Brussels bubble over the coming months, preparations are being made for a November 28 meeting of all Member States in Brussels. The goal is to iron out any differences of opinion on the package before it moves on to the final negotiations in the European Council and European Parliament .